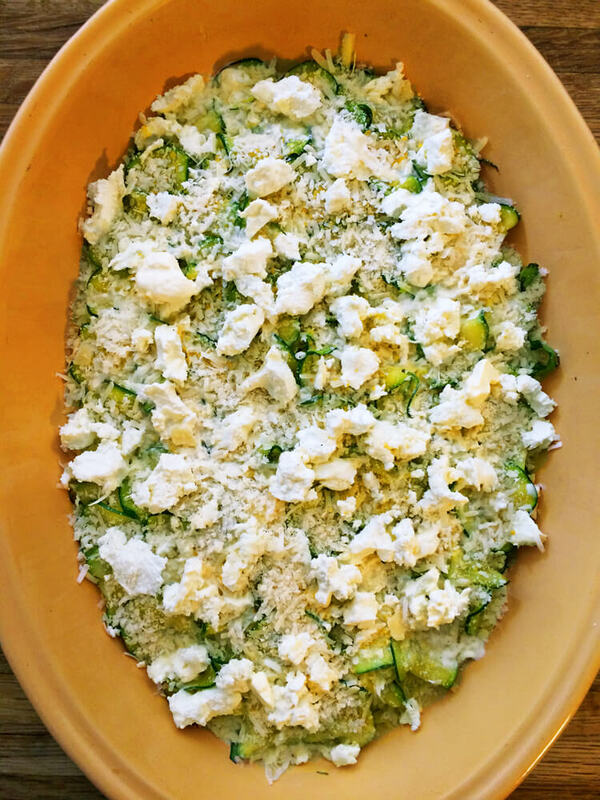 Keto scalloped zucchini is a great summer side dish for a family BBQ. 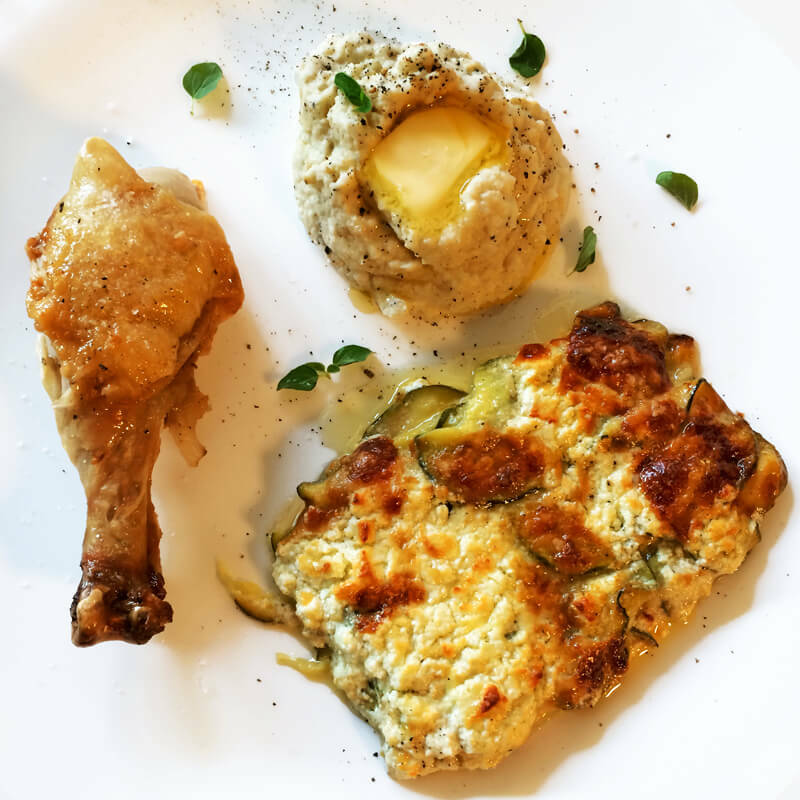 Enjoy this recipe when zucchini or yellow squash are in season. My recipe is a low carb version of scalloped potatoes with a blend of four different cheeses. 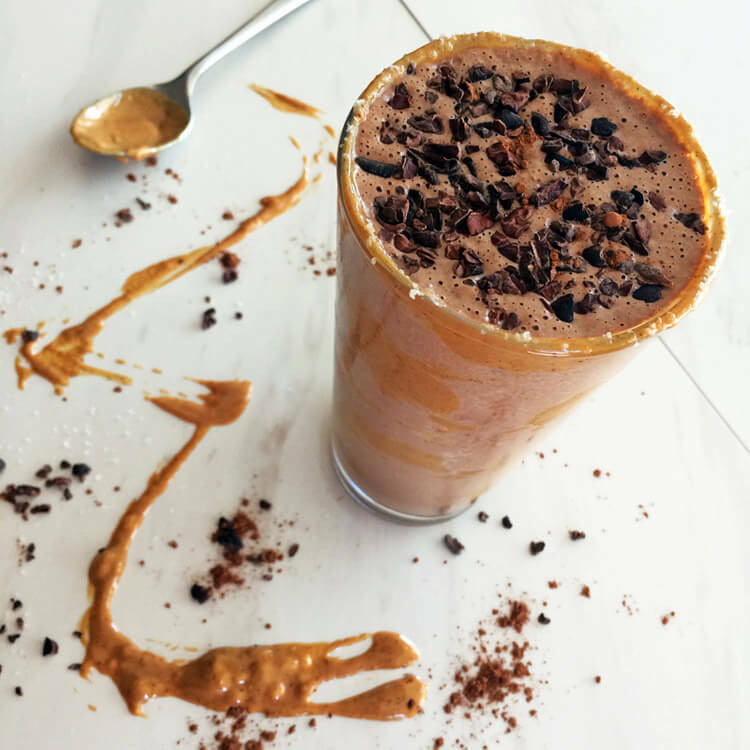 Share this keto recipe on social media with your friends. It greatly supports my blog, thank you! 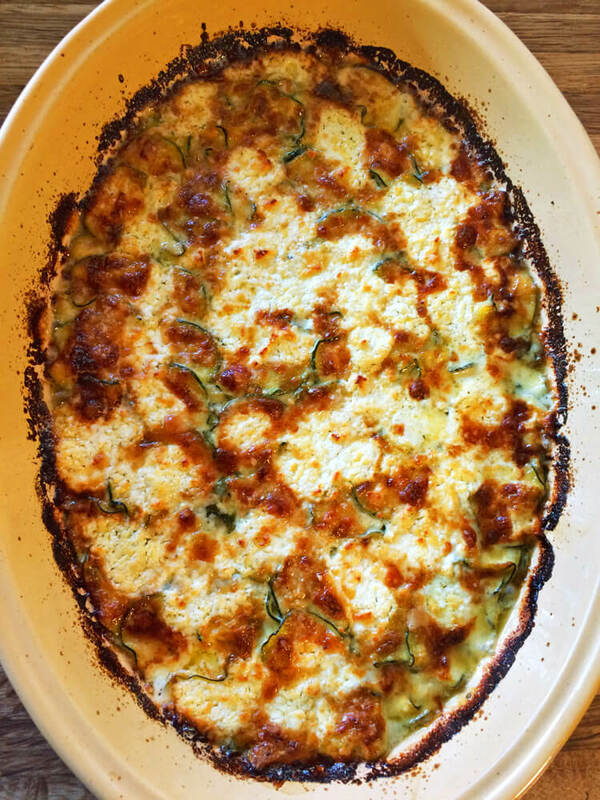 Easy and delicious baked scalloped zucchini with four cheeses. Also, try my Zoodles Carbonara Pasta recipe for fun. Preheat the oven to 375°F. Wash and dry the zucchini. Use a mandolin to thinly slice the zucchini into small consistent pieces. Use a knife if you do not have a mandolin. Each cut should be about 1/8 of an inch thick or less. Mix the slices of zucchini in a large bowl with a teaspoon of salt, then let the zucchini sit for 10 minutes. The salt will pull out the moisture. Take small handfuls of the zucchini slices and squeeze them over the sink. Almost all the water will squeeze out. Grease a large baking dish with oil and grate the cheeses. Place a layer of zucchini slices, then a layer of cheddar cheese. Place another layer of zucchini, then the gruyère. Pour on half the heavy cream. Place one more layer of zucchini, then the goat cheese and parmesan. Pour on the rest of the heavy cream. Optional: add the nutritional yeast, herbs, and spices throughout. 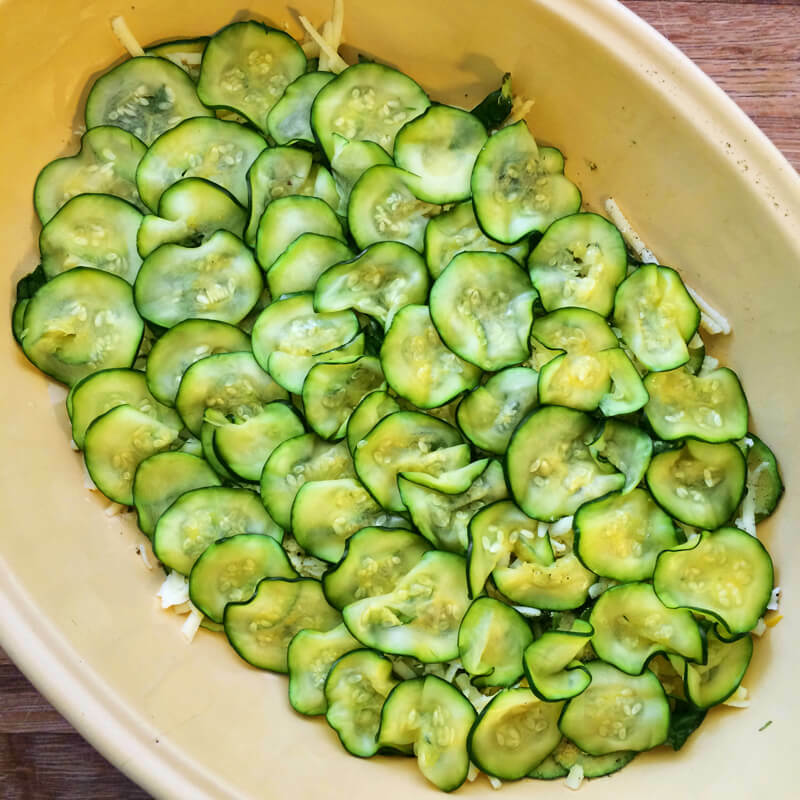 Bake the scalloped zucchini for about 45 minutes until it is golden brown and crispy on top. Remove the dish and cool. Cut the dish into 8 equal portions and serve with a spatula. Enjoy and share with your friends on social media! Salting the zucchini and and squeezing out the water is a great trick to remove the moisture. The salt will also come out with the water. Use this trick to make Zoodle Pasta. This is a great recipe to experiment with different cheeses, herbs, and spices. Comment below to tell us what you create! 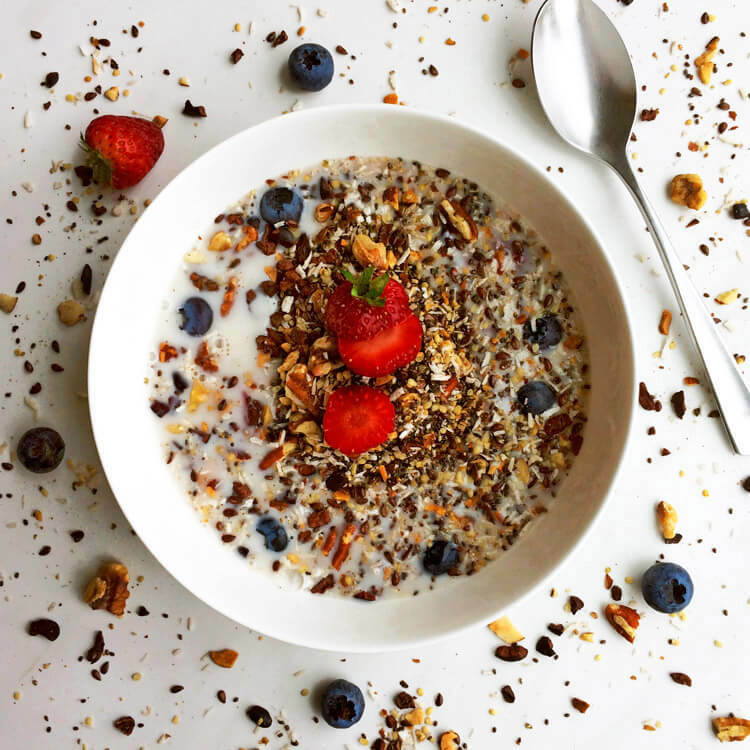 Explore all my Keto Recipes at Tasteful Keto.